Join us for a day of food and soccer presented by the one and only Farotage Nation Lounge. 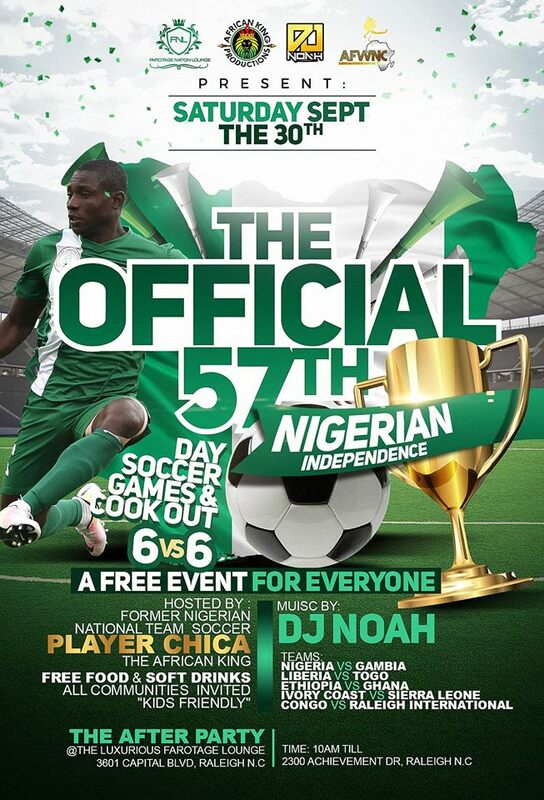 Come join us for some free food and celebrate the 57th Official Nigerian Independence Day in the afternoon, and come get lit with us for the after-party. This soccer game is sponsored Chica The African King.